For policies to serve the purpose for which they are designed, there must be a framework for their implementation, which needs to be guided by some evidence. These are some of the major discussion points that emerged from a recently concluded three-day workshop dubbed: “Science Technology and Innovation Policy Training for Africa.” The workshop brought together about 32 representatives from the Science Granting Councils (SGCs) involved in the Science Granting Council initiative. The countries represented were: Malawi, Mozambique, Kenya, Ethiopia, Namibia, Ghana, Zambia, Uganda, Tanzania, Rwanda, Botswana, Senegal, Zimbabwe, Burkina Faso, and Cote d’Ivoire. Science, Technology, and Innovation (STI) are fundamental for the economic and social development of any country. Dr. Hezron Makundi from STIPRO recommended that African governments should prioritize financing of health and agricultural research. “We take Science Technology and Innovation as our daily bread.” Said Professor Tom Ogada, Executive Director of the Africa Centre for Technology Studies (ACTS) as he welcomed the workshop participants. “If it is not happening, it is not a policy but a mindset,” said Dr. Bitrina Diyamett from the Science Technology and Innovation Policy Research Organization (STIPRO) who emphasized that we must see some results following policy formulation for us to know that it has undergone a successful implementation process. The workshop revealed that in most of the countries, STI is under the umbrella of a particular ministry, mostly the Ministry of higher education in the countries. For instance, in Kenya STI is under the Ministry of Higher Education; Ghana has it under the Ministry of Environment whereas Zambia and Mozambique have it under the same ministry as Kenya. 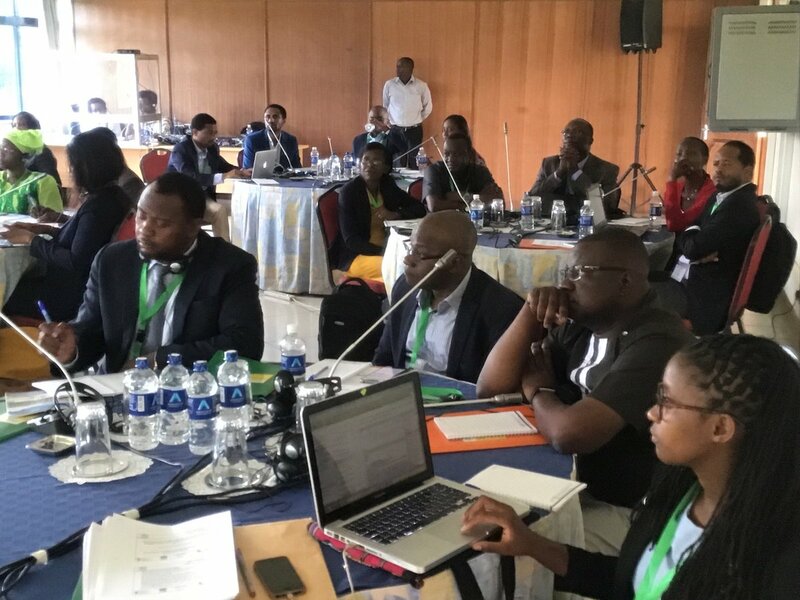 However, participants at the workshop expressed the need to establish a stand-alone Ministry of Science, Technology, and Innovation in the countries for a more significant impact. “Science technology and innovation (STI) should not be based in one ministry, because this could limit its impact and influence on the wide range of STI activities in the country” added Kalisa, a participant from Rwanda. The highly participatory workshop featured cross learning of different policy-making processes in different countries. Participants noted that successful implementation of evidence-based policies for enhanced STI highly depends on several factors including; close collaboration and coordination of involved actors (and organizations), identification of evidence gaps, clear implementation framework, political goodwill, and financial support. There was a resounding consensus from the workshop participants on the need to understand and appreciate the different components of policy-making processes for successful evidence-based policy formulation and implementation. Dr. Gussai Sheikhedin from STIPRO reiterated that research plays a fundamental role in the policy implementation process. He also pointed out the importance of communication and engagement between scientists and policymakers. Tags: SGCI. Bookmark the permalink.